Deep Wild is the only fanlisting for the goddess Artemis listed at the Fanlistings Network. The site was originally opened by Jackie, who was kind enough to allow me to adopt it in December 2005. At that time, I was travelling in Greece, and was visiting sites such as Vravrona and Delphi every day, so I was delighted when Jackie allowed me to adopt this fanlisting. If you haven't come across a site of this type before, a fanlisting is a place for all fans of a particular author, movie, book, etc. to connect. To my mind, it's a great excuse to build a little tribute site. :) There are over 50,000 fanlistings in existence and the number is growing every day. Some are simple fanlistings and some are part of a much bigger website. Find out more about the fanlistings phenomenon at the Fanlistings Network. 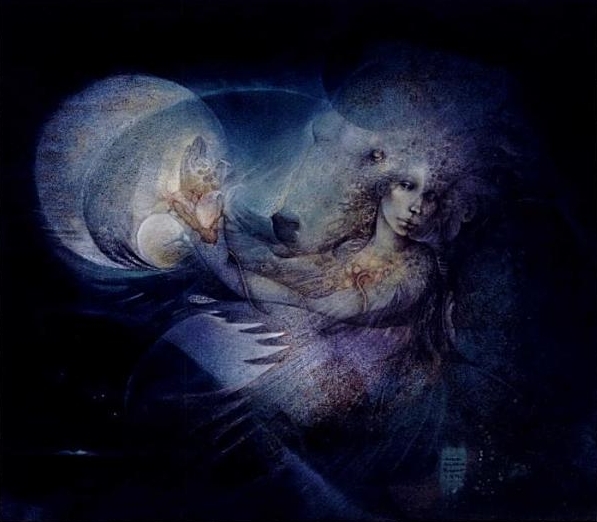 The main image is by the wonderful artist, the late Susan Seddon Boulet. This site is designed to be web standards compliant, viewable with any browser, and is valid XHTML 1.1 and CSS. The site owner and maintainer is me, Tehomet. If you have any questions or comments, drop me a line. To see what other projects I am interested in, go to my domain. Thank you for visiting.